The team at Salon Sleek wants you to love your hair colour from the moment you leave the chair and throughout the next 6-8 weeks. Keeping your colour safe means investing in the right hair care routine for your hair and hue. This varies based on your natural colour, hair texture, and dyed hue. We have some easy to follow tips to get you started—and your colourist will recommend additional products and care that is specific to your look. 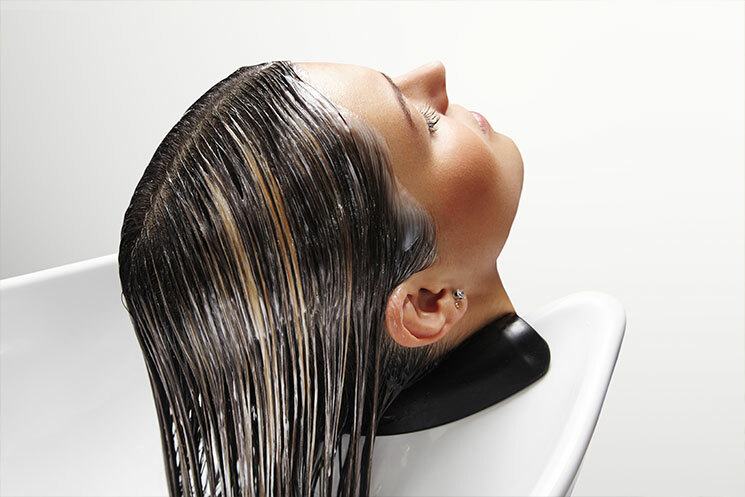 Washing and conditioning with colour safe shampoos and conditioners is a must. You want to avoid stripping the colour off your strands, which is common with non-colour approved products. Additionally, coloured hair is often drier and more prone to damage (especially for blondes) so a deep conditioning treatment can help keep your hair healthy and prevent breakage. Blow drying and flat ironing heat your hair and can break down the colour. Be sure to apply a heat protecting serum or spray to limit damage. If you can, take the weekends off and let your hair airdry. If you must heat up, consider a weekly hair mask to repair and renew your locks. This might sound silly, but the sun can easily damage coloured hair. If you know that you will be out in the sun all day (or say on vacation in the Mediterranean), try and wear a hat to shade your hair, scalp, and face. Your hair and skin will thank you! Investing in the right products and modifying your daily routine can extend the life of your hair colour and keep you looking salon sleek for weeks after your appointment. Ask your colourist what they recommend for your hue and hair type. Call Salon Sleek today to make your appointment!